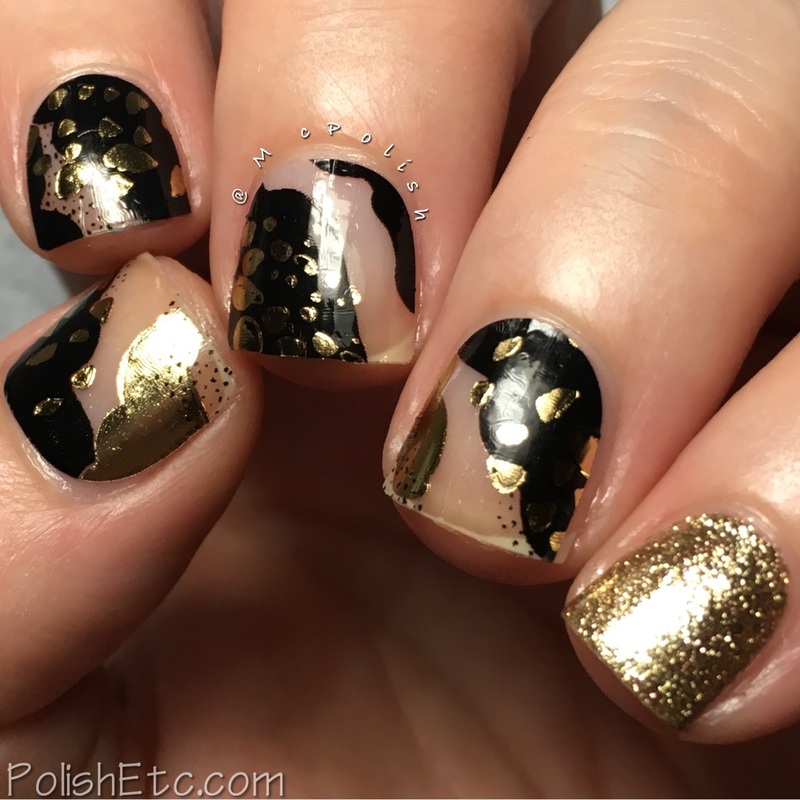 Inspired by Art for the #31DC2017Weekly - Polish Etc. So I messed up. I miss the Inspired by Art prompt! I thought I was caught up yesterday until I realized that I missed a step. Oopsies. Well, here we have a mani with the inspiration of 80s poster artists. Actually, this was more a reversed inspiration. When I was these nail wraps by ThumpsUp Nails, they made me think of old posters of cartoon/pop art style women in the 80s with big hair and animal print. If you don't know what I am talking about, google art posters by Patrick Nagel and Dennis Mukai to see the awesome of the 80s. This manicure just gave me that 80s vibe. For this manicure, I used the ThumbUp Nails metallic effect wraps in "Stella" along with a accented pinkie nail. the wraps are very shiny and have a clear background. I really like them used over the bare nail for the negative space look. But you could also use them over a colored base of your choice. No base coat or top coat needed! My pinkie bling is Cirque Colors "Refelktor". 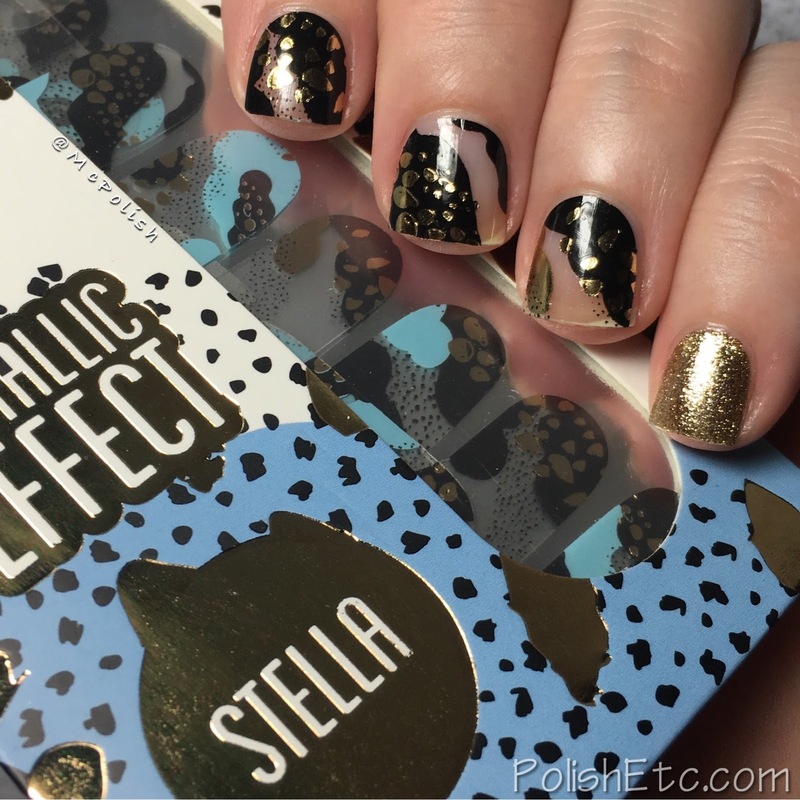 These Stella wraps to have little bits of baby blue on them as well. My nails are so short though, the blue parts didn't show up. This was intentional on my part as I selected the sizes that didn't show off the blue. ThumbsUp Nails wraps are always easy to apply and do not need a top coat. You can use a gel top coat if you want a super long lasting manicure. So you dig this negative space look? I sure do. Be sure to check out the ThumbsUp Nails site for a look at all of the cool wrap designs they offer. Always fun and easy nail art. 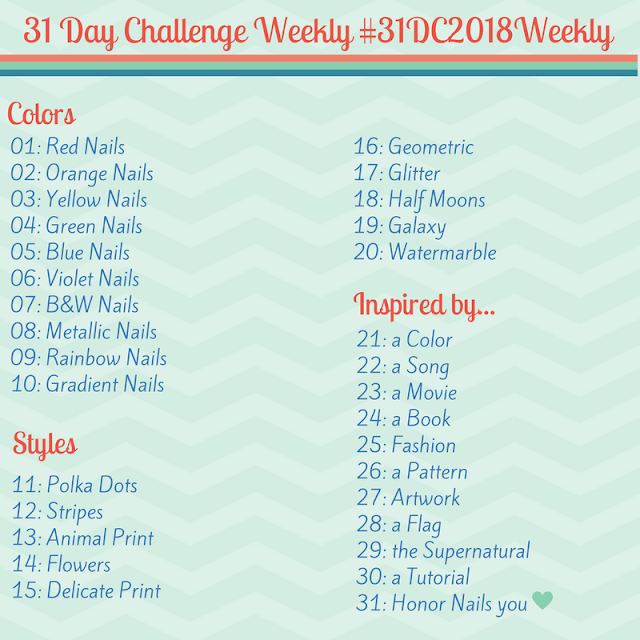 Also, be sure to check out all of the other people participating in the challenge by going to the tag #31DC2017Weekly tag on Instagram, Facebook and Twitter.